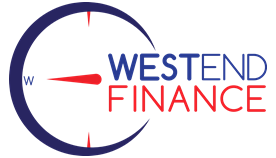 For all your earthmoving equipment loans and farm equipment loans in Perth, don’t choose your finance before you’ve spoken to Westend Finance. With over ten years’ experience, let me help you save. Whether you’re looking for new or used equipment, from a dealer, auction house or private seller, I can help you get a great equipment loan to meet your needs now and well into the future. I give you more options than the banks because I’m independently owned and operated, which means I have access to the entire loan market. Plus, I can help you with a loan package whether you need one piece of equipment or several to get the job done, whether you’re a sole trader, partnership, company or trust. And you’ll be glad to know we specialise in low-doc finance. Start looking for the right equipment knowing exactly how much you can spend. I know it’s hard to get your finance sorted when you’re out on the job or on the farm but don’t be fooled into thinking dealer finance is the simplest and best option. I do all the hard work, comparing all the options to get you the best equipment loans available in Perth.